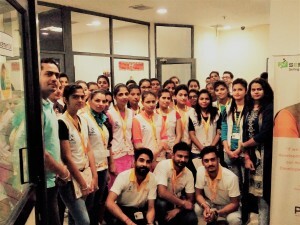 S E BIZ INFOTECH PVT LTD has been successfully completed – PMKVY 2.0 Assessment of 5 Batches of Junior Software Developer Job Role under IT-ITES Sector. Assessment was conducted by NASSCOM from 18th May 2017 to 24th May 2017.It was our proud privilege to conduct online based assessments for more than 150 students. This assessment was conducted to test the concepts underlying the IT Curriculum. Such assessments gives the candidates a chance to showcase their knowledge so that they can make improvements in the learning process. We feel privileged to participate in such initiative of the govt. for the welfare of our country ‘s biggest asset – Youngistan.